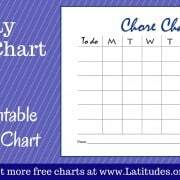 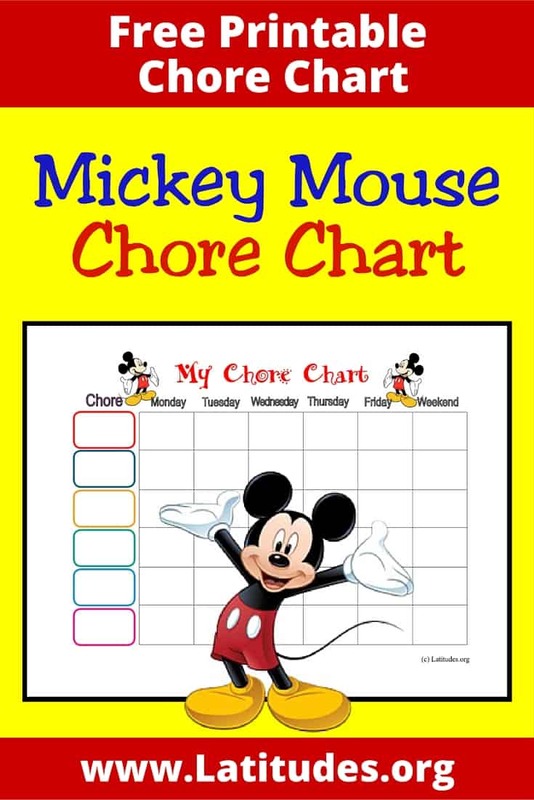 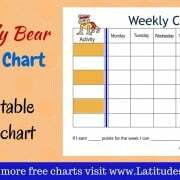 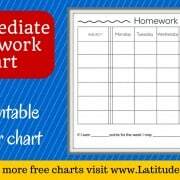 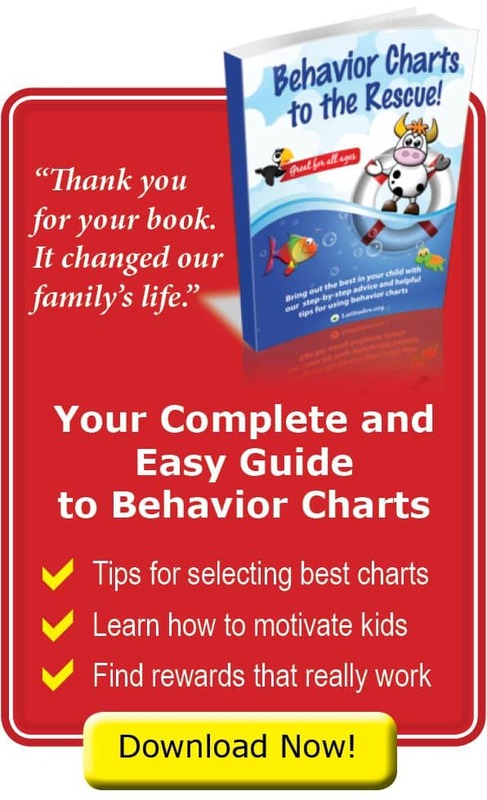 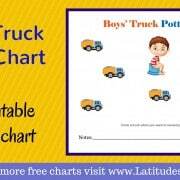 This mickey mouse chore chart is designed for focusing on several activities or behaviors during the course of one week. 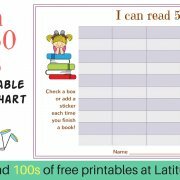 A variety of goals can be entered for each day. 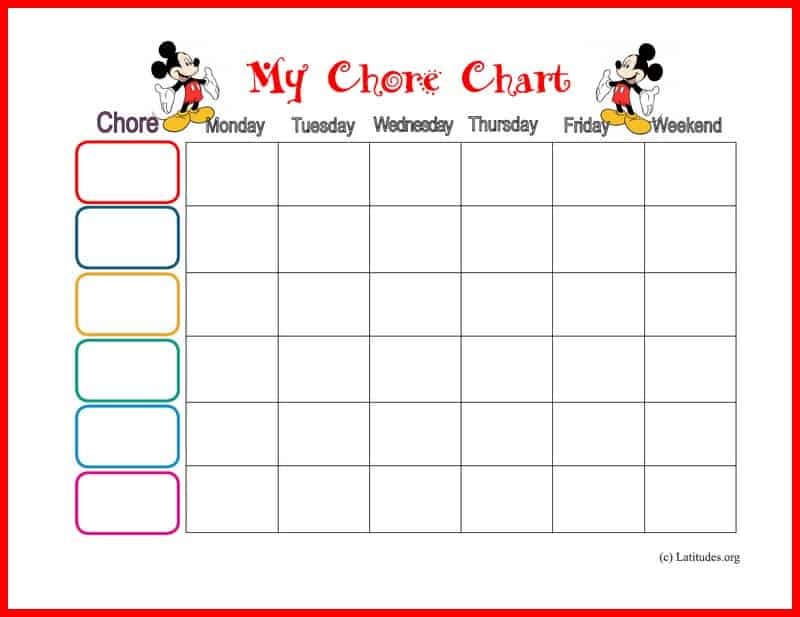 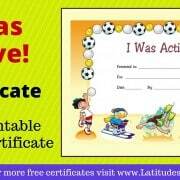 The weekend days are combined into one day to give the child a chance to easily fill that section.